Jesmond Group of Companies specializes in the development of high-end micro-encapsulation technology resulting in environmentally sound and low-toxicity pesticide formulations. With over more than thirty-six partners located around the globe, we aim to bring both domestic as well as professional PCO users alike a fast-acting, professional alternative to extermination. For more information regarding our biocidal products and exclusive distributors click the button below. 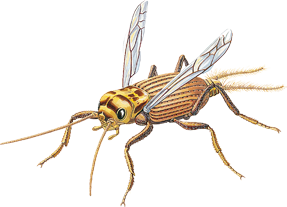 Jesmond´s products belong to highly effective microencapsulated insecticides formulated as suspension in water in order to eradicate/combat various flying and crawling insect pests at all life stages found in household and professional environment. In the last few years Jesmond made remarkable investment(s) in research and development of patented microcapsule technologies in order to obtain biocidal products revealing a high killing rate in insect pests and a long residual activity for at least 8 to 10 weeks. Jesmond´s microencapsulation technologies are characterized by a unique combination of insecticides showing different particle sizes, type of capsules, and porosity grade used to develop formulation characteristics with low toxicity exposure to human and mammals. Among other a time-tailored release rate of microencapsulated actives is achieved which show an enhanced and specific performance. The special tri-dimensional structure of the polymer wall protects the active ingredient and makes it available to insect pests through diffusion across the capsule wall and disruption of the capsules. All biocidal products must get an authorization before they can be made available on the market. Jesmond has performed laboratory and simulated-use efficacy trials on our insecticides as well as toxicity studies including the determination of physic-chemical properties in order to create technical and regulatory conditions for granting the products´ authorization and thus place them on worldwide market according the national or harmonized regulation rules for biocidal products. We are honoured and privileged to be working with like-minded professionals in the field who care as much for the environment as Jesmond does. Through our own international marketing experience and extensive connections we have gathered, we can offer assistance and support in the preparation marketing tools and launches for individual markets to our partners and associates .We offer our knowledge on market strategies as well as guidance to partners taking into account our past experiences in other countries and continents. Jesmond is proud to be part of a global strategy in bringing BIO/CLEAN KILL to a global scale. Together with our professional partners, we accomplish this though providing technical-know how, organisation of informative seminars when needed, sales and statistic comparisons when required on a monthly, quarterly and yearly basis. The label design with a world-wide brand and TM is another strength all our partners profit from. JESMOND is an expert in our product registrations which provides the basis for all and every sale in any country. JESMOND is well prepared to tackle the strengthening laws and match the rising requirements due to its excellent partnerships with the active providing companies. Valued partners and associates play a forceful role in the success of the introduction of JESMOND's formulation and product lines. For this reason it is vital to provide a strong support system, embedded by clear and constant communication. Critical to achieving successful partnerships, we work hard to be able to support our partners through studies conducted in the technical & research development sector, marketing sector, and the logistics department. Additionally we strive to work not within the European borders, but spread further to an international scale. With partnerships on almost all continents and our continuous strive to keep our growth constant, we are proud to be associated with the environmentally-aware niche in and pesticide market, as a leader and not a follower. 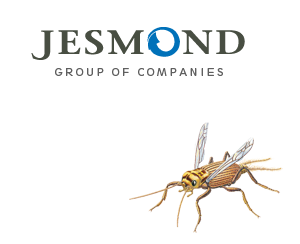 Above all, Jesmond Group of Companies is keeping its values and beliefs in people by working with people on a European and global scale to bring both domestic users, as well as commercial users alike a safer option to insect pest eradication. JESMOND's products and brands, such as BioKill® and CleanKill®, offer the best efficacy by applying only as much active ingredients as required to keep your home free of pests.